WOW, what a fun day today was. 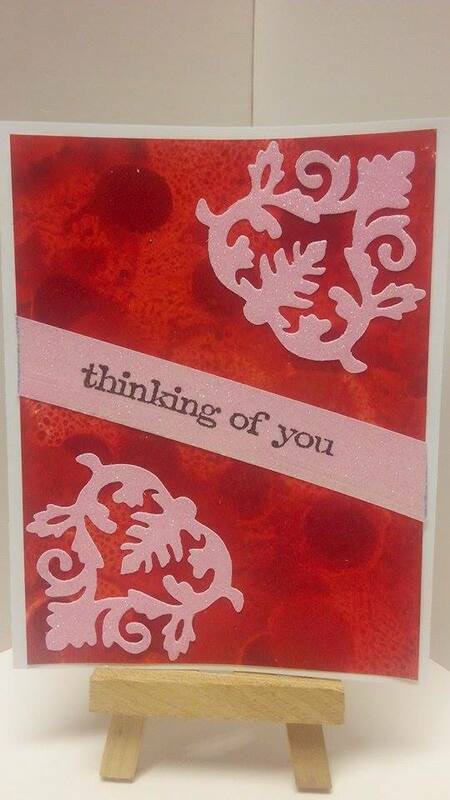 October 1 is the kick off day for Split Coast Stampers "Hope You Can Cling To" month long challenge. Today there were three challenges and I did complete each of them. The theme for this one was "Whatever The Weather", asking us to make a card depicting the weather type we dislike the most. 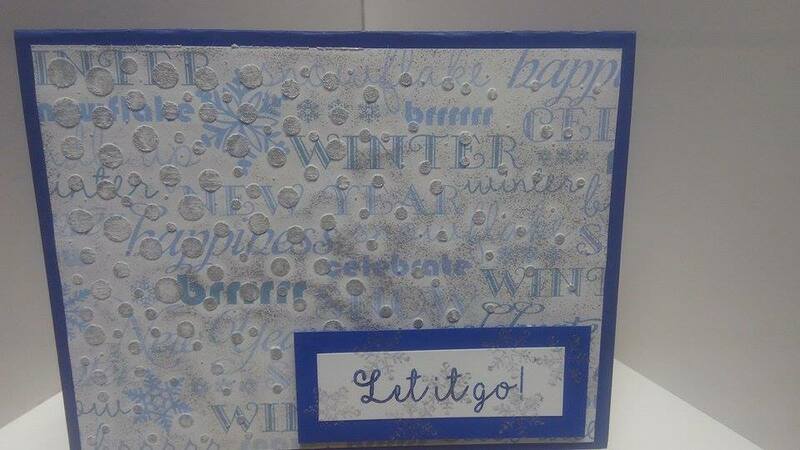 For this card I used AMuse Studio's card base, Recollections "All Season's" 6x6 paper pad, Ranger Texture Paste with Spellbinders "Cascading Dots" to simulate falling snow, Ink It Up Metallic Silver ink for the background and snowflakes on sentiment and Virginia Turtle "Let it go!" sentiment in AMuse Studio Navy ink. 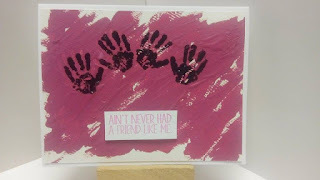 Challenge two was "Lend A Hand", in which we were to use hands in our creation, whether finger painting, using hand/finger prints or hand stamps. So, I used Walter Foster watercolors in Crimson and White blended to make this dark pink, finger painted the background. Once dry I used a Stampin' Up handprint stamp with Versafine Black Onyx ink to make the hand prints. Sentiment is from Virginia Turtle Designs stamped in AMuse Studio's Bubblegum Ink. This was a fun one. The topic was "Split the Difference" in which we were to craft a background then split it in half with the sentiment. This was So much fun. I started with a sheet of HP Photo paper, and cut it to 4x5.25, I then used my Ranger Watermelon Alcohol Ink and believe it or not Neon Pink Food Coloring. I dropped dots here and there of each color then used Ranger Alcohol Blending Solution to blend the colors together. I then spritzed it with a homemade concoction of water and Folk Art Metallic Antique Gold Acrylic Paint. 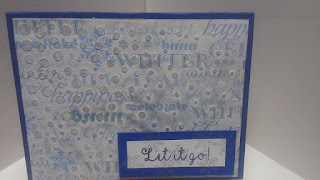 While that was drying I used my Sizzix Big Shot to cut out the 2 Damask images with a sizzix die, I also sized and cut the sentiment strip out of Pink DCWV Glitter Paper from a 6x6 pad. I put this all together with my ATG Gun on a base of Neenah white cardstock. If you are still here, THANK YOU. I will be updating each day that I am able to get creations completed. Hope you enjoy!! !